Most won't even understand his passing as being a loss. 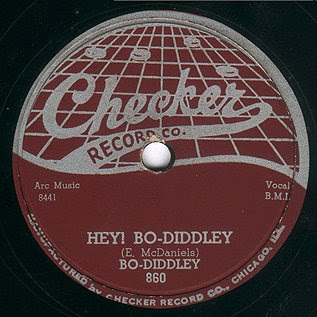 As a drummer, I know the "Bo Diddly" groove well. The band I play in has a song we do about a fictitious meeting with Bo Diddly on the way to the gig. The beat is "that" beat for the entire 10 minute song/story. 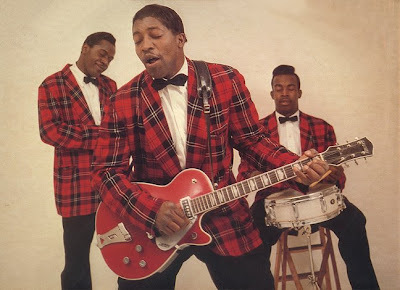 Always loved the early Chess Bo Diddley sides, though in recent years his funky early seventies sides are the ones that have turned me on. hope he meets up with The Duchess and Jerome in the afterlife to continue making beautiful music. thanks. 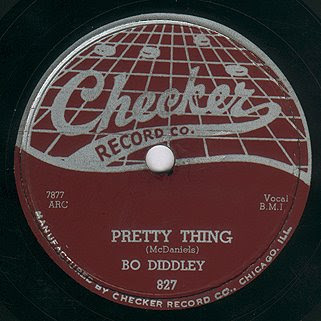 love the blog and love some bo diddley! you don't happen to have an mp3 of the song "here 'tis" from the "bo's a twister" album do you? one of my favorites but i don't have a copy at the moment. thanks again, and keep on blogging in the free world! years ago someone put "pills" on a long since lost mixtape. when i heard of his passing i really wanted to hear that tune again. thanks for posting. If you dig Bo, I strongly reccomend his collaboration albums he did with Muddy Waters, both released on Chess Records in the early 70's. "Super, Super Blues Band" and "Super Blues" Both are beyond excellent. They're funny, jamming & give a lot of insight into some surreal Masters of Black Music. Ok, the revelation about the ice wagon is absolutely prime information. I am so grateful for that! Great stories, great music, great man! 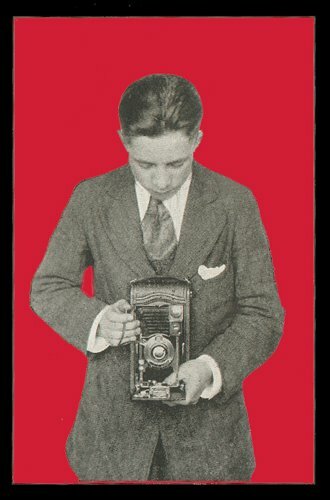 Love this blog (been a longtime visitor, first time comment-leaver). Keep up the great work! I have most of these songs on vinyl, thanks for ripping them!